Venue: N005, UTAR Perak Campus, Kampar. Prof. Sung-Kwon Park is currently Full Professor at Hanyang University and also serving as Dean of Office of Information and Communications, in charge of the entire computer communication networks and information systems in Hanyang University. He joined Tennessee Technological University, Cookeville, TN, USA as Assistant Professor in Department of Electrical Engineering, upon his graduation from RPI in 1987. In 1990, he received an Initiation Award from US National Science Foundation. He left Tennessee Tech in 1993 as Tenured Associate Professor to join Hanyang University. 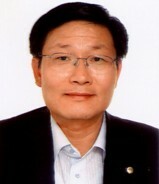 He is a senior member of IEEE, a member of the IEICE, a life member of Korean Information and Communications Society.